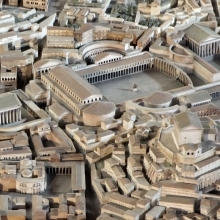 Overview: an introduction to the Column of Trajan. Basic Statistics: Some fundamental figures and facts about the Column. 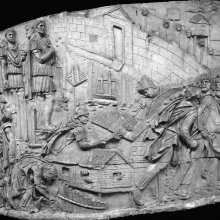 Topography and Setting: Images and discussion of the Column in its context within the Forum of Trajan. 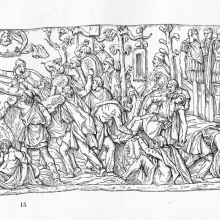 Early Documentation: Reproductions, Drawings and early photographs (including a full set of the Cichorius Plates) of the Column. 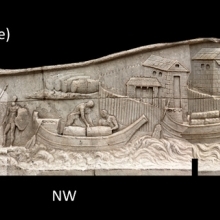 The Column in Situ: Views and commentary of the Column and its constituent parts (e.g., its pedestal, dedicatory inscription, interior staircase, base and capital) in situ. 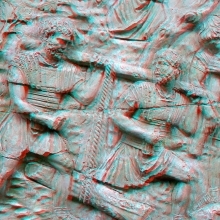 The First Dacian War Scene-by-Scene: Complete photographic documentation with commentary of the scenes from the lower half of the Column, including an introduction to the spiral reliefs and their precedents. 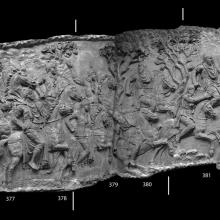 The Second Dacian War Scene-by-Scene: Complete photographic documentation with commentary of the scenes from the upper half of the Column. 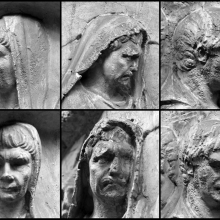 Portraits of Trajan include images of Trajan on the Column as well as selected busts and free-standing images of Trajan and the imperial family. Numismatics: Coin issues that depict the Column of Trajan. 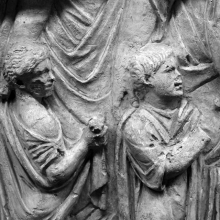 Sources for the Column include Primary Texts in translation and Modern Scholarship. 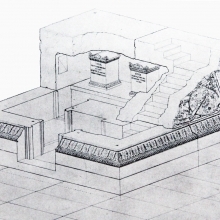 A Glossary of Terms and Index used in the website to describe the architecture, decoration, specialized terminology, and scenes of the Column. 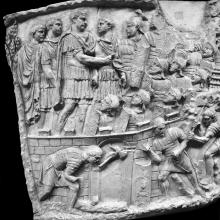 One Response to "Trajan’s Column"